McALLEN — School district trustees and top officials met with the local citizens league Thursday to cover the upcoming Tax Ratification Election proposal that will more than likely be put before the board next month. The lunch meeting at the McAllen Salvation Army was one of many similar presentations planned before the board’s vote to clarify what this election is about. If approved by the board, the election, known as TRE, will ask voters to allow the district to take all 11.5 pennies from the Interest and Sinking fund, known as I&S, and move these to the Maintenance and Operations side, or M&O. These pennies generate more matching funds from the state on the M&O side than the I&S, allowing the district to receive about $14 million in matching funding without raising its total tax rate of $1.155 per $100 valuation. The district had been able to generate these funds in former years by qualifying for the move through a special disaster exception, Gonzalez said, but as it didn’t qualify for the relief this year, the only other way to do it is putting a TRE before voters. Voters would also need current or future school boards to approve a tax increase to take the M&O to its maximum of $1.17 without having to put it through another election, which Gonzalez acknowledged during the meeting. But he repeated that this in not in their current plan, and based on the board’s history of maintaining one of the lowest school district tax rates of the county, the move would be unlikely. 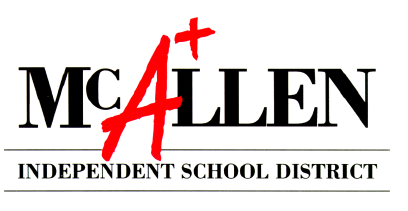 Out of the $14 million that could be generated, $7 million would be used to pay district bond debt as intended by the I&S portion of the funds, and the rest would be used for daily operations of its campuses and improvements. Some of those who participated in the question-and-answer portion of the meeting wondered why the district didn’t move to raise taxes if there was such need, to which Gonzalez and Board President Danny Vela responded that they are for now only focusing in options that do not require raising taxes.